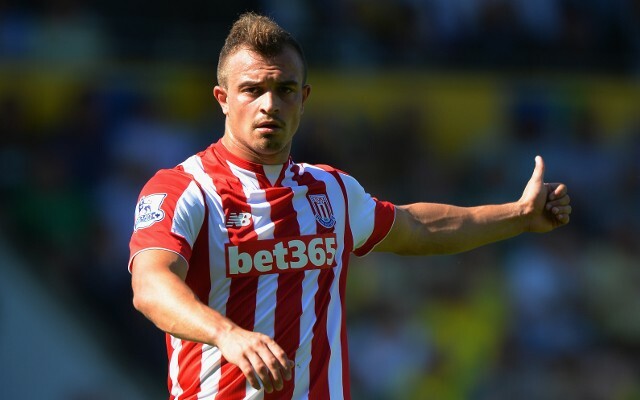 AS Roma are interested in signing Stoke City winger Xherdan Shaqiri, according to Calciomercato. When Shaqiri joined Bayern Munich from Swiss outfit Basel in the summer of 2012, he was widely considered one of the hottest young talents in Europe. However, now 25-years-old, Shaqiri has failed to scale the heights that he was expected to in the early stages of his career. After stints at Bayern and Inter Milan, the natural next step for Shaqiri was to join… Stoke City. He has scored just six goals in 47 appearances for the Potters. Though he has scored some quality goals, his time at the bet35 arena has to be considered a disappointment. He could subsequently seek the exit door in a bid to revive his stuttering career, and a return to Italy could well be on the cards. According to Calciomercato, Roma are interested in signing Shaqiri in the summer transfer window. He is thought to be available for a fee in the region of £13million.